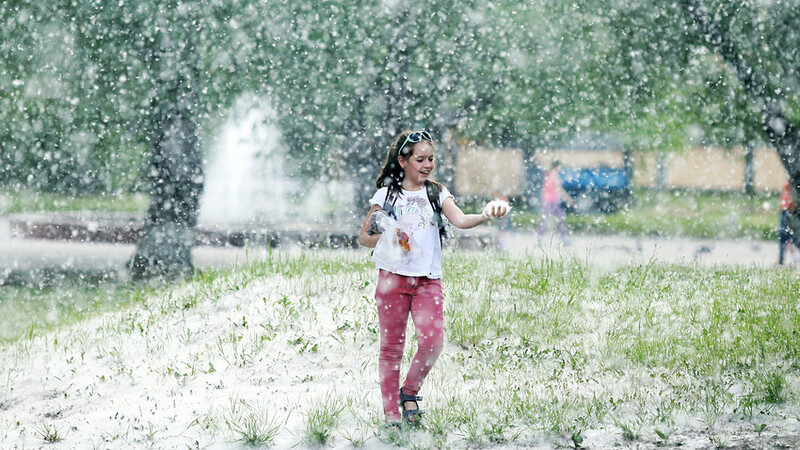 When winter ends Russia’s capital once again becomes white. No, it’s not the snow; it’s tree fluff that makes you sneeze, itch and cry. Are there any chances to survive this fluffy deluge? Do you like June? Many Muscovites do not. Yes, it’s finally warm, the sun is shining and you can leave your ushanka at home. But there is a veritable blizzard of white poplar fluff that blankets the city. If you’re in Moscow at this time you’ll hear, “bless you!” more often than “Hello” because people will often be sneezing. Why so many poplars in Moscow? There was no such problem before World War II because poplars were not planted at all in the city. When Moscow authorities, however, began to rebuild after the war, as well as to resettle residents in communal apartments and build khrushchevka in the 1950s, there wasn’t enough greenery to give the new city districts a cozy look. Construction was massive and quick, and the problem had to be solved immediately. So, tree experts suggested to go with the fast-growing balsam poplar. While their homeland is in North America, these trees are well-suited to Russia’s climate, able to grow in cold weather with minimal care. Balsamic poplars, however, can be either male and female, and only the latter produces fluff with seeds. Therefore, experts recommended to plant only the male poplar, but this recommendation was not always followed due to the rush. Also, there were not always enough specialists to send to each residential building, and many trees were planted by the residents on subbotniks (clean-ups). According to another version, some of the male trees changed their gender as a result of the policy to saw off their tops. Even today, poplars are still sawed twice a year. When warm weather comes to the capital, about 300,000 poplars, half of which are female, begin to bloom and spread their seeds. No, poplars were planted throughout the Soviet Union, so be ready to meet the white fluff in almost any city of the former Soviet Union. 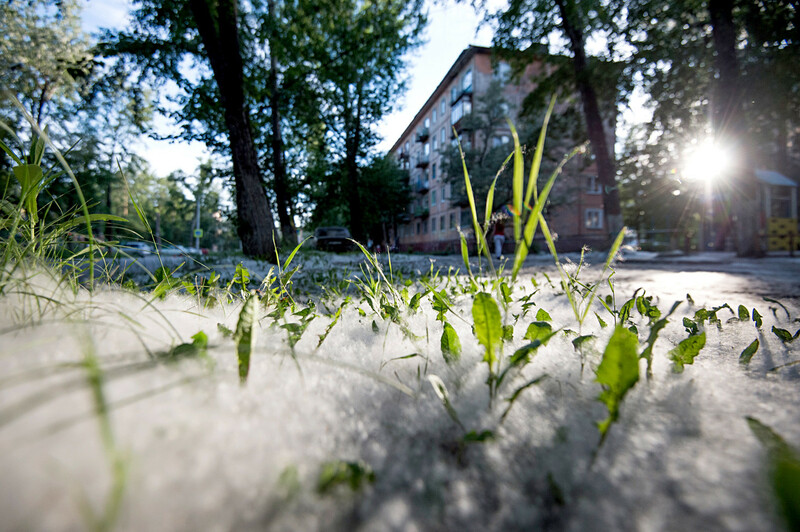 Is poplar fluff dangerous for those with allergies? The fluff doesn't cause allergies, but it carries allergenic pollen and dust. Therefore, when you feel the first signs of an allergic reaction, go to the doctor to find out which plant pollen in the poplar fluff affects you. Stock up on pills and drink more water. Also, try to stick to a diet, and limit the use of simple carbohydrates, pastry and soda. Try to spend less time on the streets, do regular wet-cleaning at home, and rinse your nose with sea water. What else should you expect from poplar fluff? You will be surprised, but this seemingly innocent fluff can lead to major fires. Some children, and even adults, like to set fire to the fluff and watch it burn. The fire, however, can burn very intensely and can quickly spread to trees and houses. Do poplar trees have any benefits? A huge one! Poplar produces much oxygen and purifies polluted city air. The duration of the blooming period depends on the weather: the hotter the weather, the sooner it starts and finishes. As a rule, Moscow says goodbye to fluff in July. 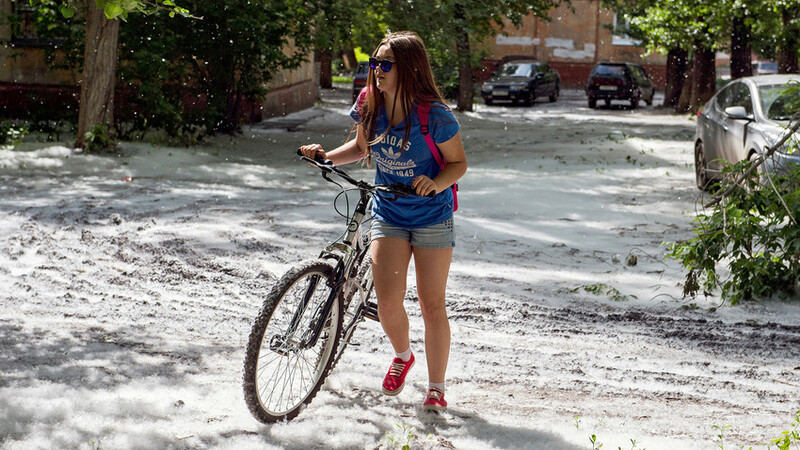 Do you know what other 'dangers' await you during the Russian summer? Read this article and be prepared for all sorts of surprises!